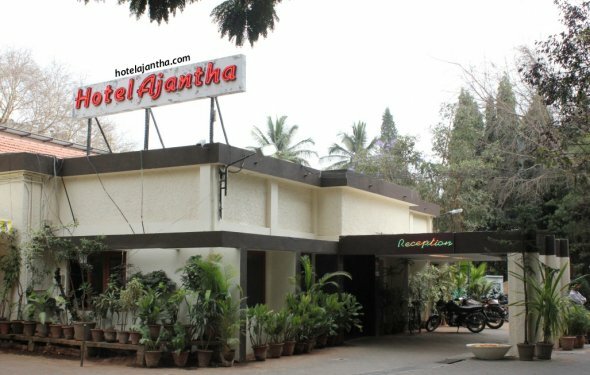 Ajantha Hotel, a part of the Ajantha Trinity Inn Hotel Pvt. Limited is one of the leading budget hotels of Bangalore, the capital city of Karnataka. Apart from providing comfortable accommodation, the hotel specializes in offering soothing ambience, warm hospitality along with several other amenities. This is amongst the early established hotels of the city. Hotel Ajantha attracts tourists for offering a memorable and comfortable stay within an affordable budget. This hotel is very popular among the economic travelers to Bangalore. Ajantha Hotel is located on M. G. Road in the central part of the city of Bangalore. Proximity of the hotel to the important business areas as well as the famous tourist attractions helps the visitors to choose this hotel with ease. The internal decor is beautiful and well-planned. The huge lobby and the extended corridors in between the spacious rooms prove the architectural skill. Doctors are available on the basis of "on call service"
24 hrs check-in and out time. Being located at the city centre of Karnatakas capital, this hotel operated by the Ajantha Trinity Inn Hotel Pvt. Limited can be easily reached by road, rail or airways. The City Railway Station of Bangalore, which is one of the major railway stations of the city, links the hotel to the different parts of the state as well as the country. Proximity to the Bangalore Airport makes the hotel accessed by even international travelers to the "Garden City" of India. Besides that, one can even reach the place traveling via road transport system. The main Bangalore Bus Stand is located at a distance of 8 kms from the hotel. To roam around the city from the hotel, one can either avail the car rental service offered by the hotel or the local taxis or bus services available in the city. Bangalore Airport, the nearest airport is just 4 kms away from the hotel. The distance between this hotel and Bangalore City Railway Station, the nearby railway station to the hotel is 8 kms.